The ARIA is a resort hotel and casino in Las Vegas, famous for its annual high roller poker classic tournaments. The inaugural tournament took place over three days in July 2015. The event set off with a buy-in of $500,000 and even at that level, 43 players stepped forward to put down the money for their place. The tournament was won by Brian Rast who netted himself $7.5 million. And you may be surprised to hear that the winning hand was an Ace and 9 of spades. The total prize pool for the whole tournament was over $21 million. The following year, 2016, the tournament was moved to May, and the buy-in went down to $300,000 to encourage more entrants. This succeeded to some extent, with 49 players entering that year. The top prize was $5 million, scooped by Rainer Kempe. His hand? A pair of eights. In fact, this type of winning hand isn’t uncommon – the 2018 contest was won on a pair of nines. So one key point in the best poker strategy for poker tournaments, is not to underrate the winning potential of your hand. The ARIA tournament, now known as the ARIA Super High Roller Ball, has subsequently gone from strength to strength, as one of the premier events in poker, with a great range of poker variants being played. The 2019 contest takes place between June 2nd and July 14th with tournaments morning and evening. The morning ones tend to have a larger buy-in. The key event is the WPT 500 which is on between 21st and 27th of June. Now that the 2019 schedule is out, even well seasoned players are slightly nervous at the prospect of putting their skills to the test at the ARIA. Can you see yourself making it to this level? If you mostly play online, don’t worry – it’s now possible to qualify by entering online tournaments, where winning one tournament qualifies you for the next one. Chris Moneymaker was the first person to qualify online and go on to win a poker World Series. So here are some poker tips to help you develop the best poker strategy for this and other poker tournaments. 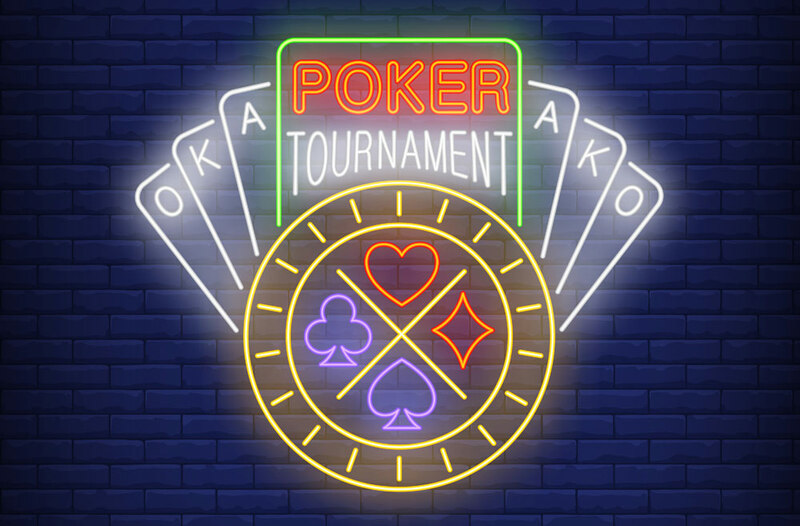 One of the best ways to prepare for a high profile poker tournament, can be to enter a lower rated tournament at the same venue, before the big day. That way you’re familiar with the place, and can concentrate on the game without being distracted. Even if you’re a beginner, you can play in venues like the ARIA, and feel you’re close to the heart of the action. All live poker rooms have a set etiquette, but sometimes players who are used to playing mainly online, don’t realise this. So here are some poker tips that will ensure your fellow players don’t grind their teeth when you join their table. Chief among the irritants for tournament players is “slow rolling” – dramatic pausing when you have an unbeatable hand, or are about to go all-in. Always state your bet clearly, understand that what you say is binding, be polite even when you lose, never hold up the action, and don’t toss your chips into the pot – known as “splashing the pot”. This makes it hard for the dealer to check that the correct sum has been bet. If you’ve mainly played online, then you need to mug up on tells – in a live tournament, you can get lots of useful information from your fellow players’ gestures and facial expressions – even their pupil size. The key thing to remember in tournaments is that you want to live to fight the next round. So you must not run out of chips, otherwise it’s over. Remember that as the tournament goes on, the blinds get bigger, and the stack you’re playing with gets relatively smaller. So don’t be tempted to splash money unwisely in the early rounds – you’ll need it later. If you make it to the later tournament rounds, you’ll encounter shorthanded play – you won’t be at a full table of players. During this phase, don’t wait for mega hands – lower hands can be more powerful with fewer players. And if you make it to the last two, remember that Heads-up play calls for a completely different approach!